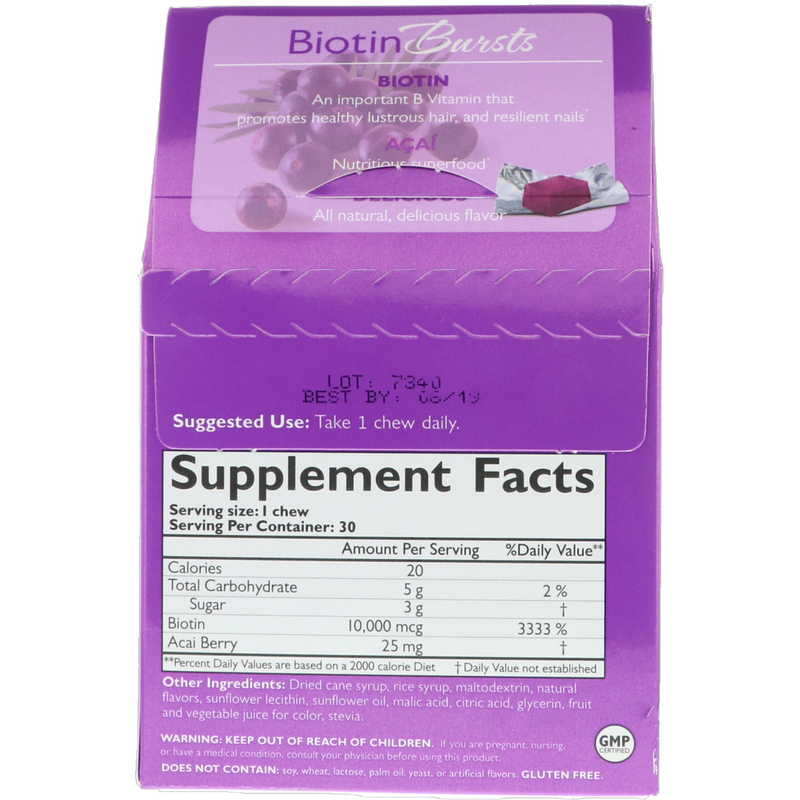 Biotin - An important B vitamin that promotes healthy lustrous hair and resilient nails. Delicious - All natural, delicious flavor. NeoCell Biotin Bursts are designed to nourish your beauty from the inside out. 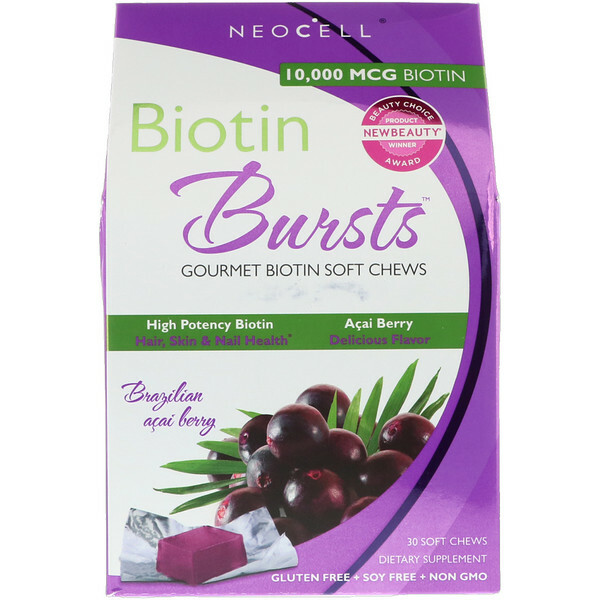 Dried cane syrup, rice syrup, maltodextrin, natural flavors, sunflower lecithin, sunflower oil, malic acid, citric acid, glycerin, fruit and vegetable juice for color, stevia. Does not contain: Soy, wheat, lactose, palm oil, yeast, or artificial flavors. Gluten free.